It's cooling off around here, but the event calendar continues to get hotter as we get into the best time of year to live 813. We'll get right into these great places to be this weekend! Share - Nick Day, Localite of the Week Shares Scream-A-Geddon with you! 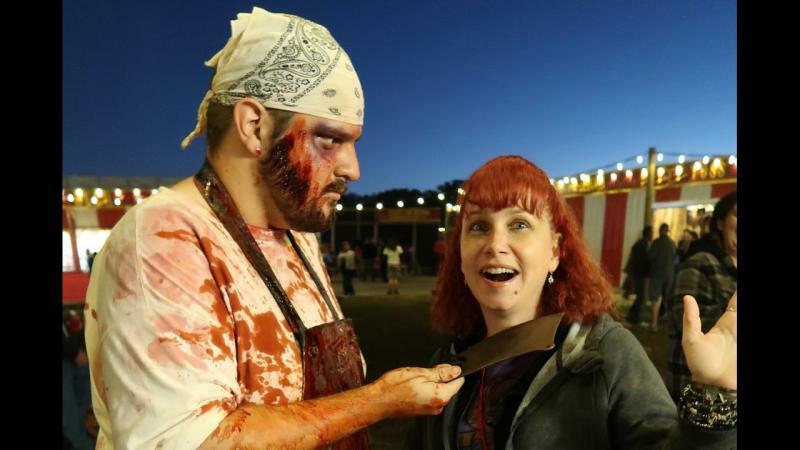 Scream-A-Geddon is one of the scariest haunted houses in America. I went last Wednesday and the adrenaline rush is worth it! With five haunted houses and a game of paintball you will never forget, this is bound to be a night full of fright. Their newest house is the Rage 3D house that is clown themed. It’s hard to see the actors in front of you, but that’s what makes it so scary! Blackpool Prison, Infected: Ground Zero, Demon’s Revenge and Deadwoods are back to terrify you once again. Blackpool Prison and Infected: Ground Zero are the interactive houses where you can choose to be grabbed, touched or pinned against a wall! If you choose to go with the actors, the might take you away from all of your friends so you can experience this scare on your own! Do it if you dare, but beware of the scare! Are you suspicious of real ghosts? Or do you have complete faith in them and want to see them for yourself? 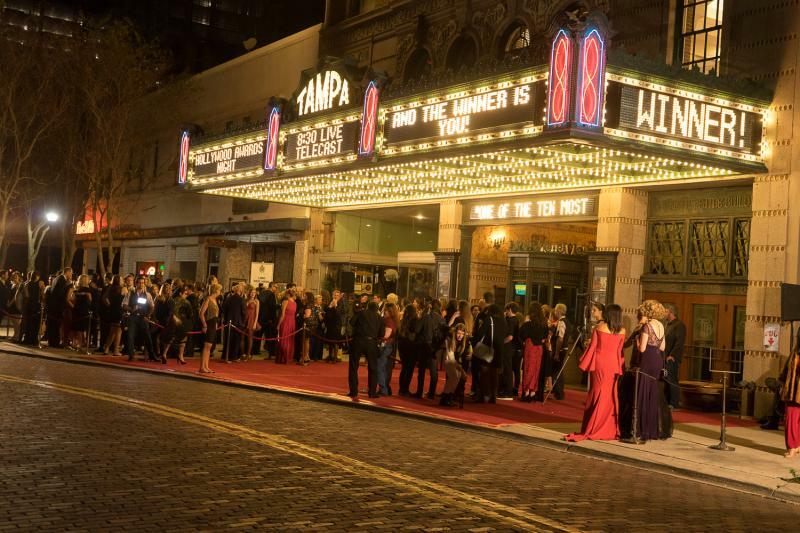 See the real ghosts of Tampa during a Ghosts of Tampa Theatre Tour of the city's most haunted building, the Tampa Theatre. Want to see for yourself? Sign up for a Ghost Tour Today! Your love of gaming competitively? Or watching gamers stream? 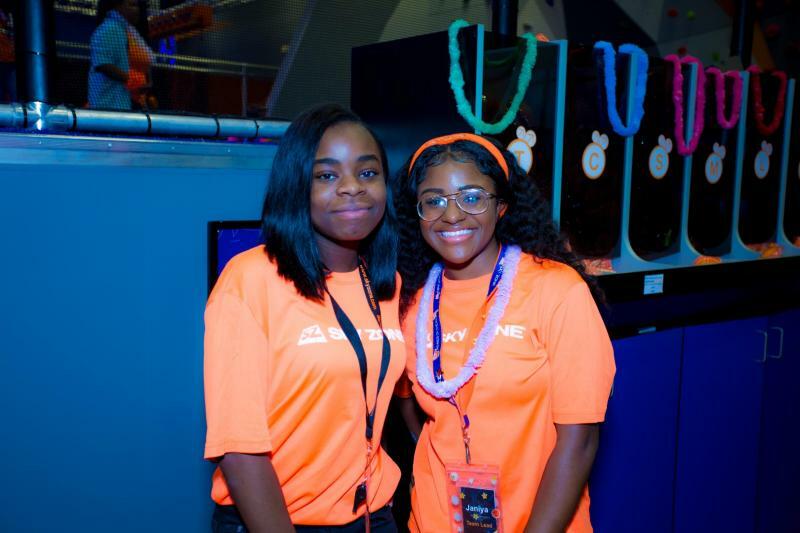 If you’re a competitive gamer, or if your boyfriend is a gamer, head to Skyzone this weekend because they are having a Fortnite Tournament for 10-15% of the money they make from all ticket sales during the tournament! Invite your friends to watch you compete for a chance to win even more money! They can jump around and play games or watch the free for all game in action. HINT: This will be an Xbox and PS3 Tournament only, no PC games. PC gamers are invited but they will need to play on the game consoles provided. 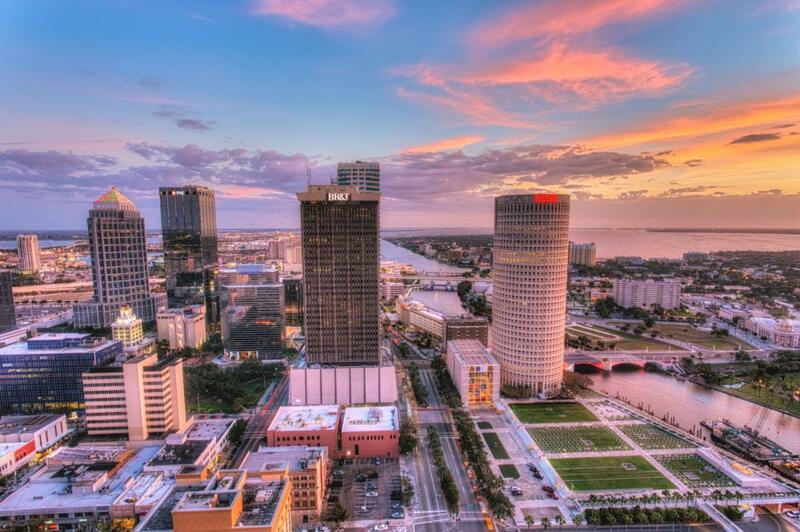 Top Ten Things to Do in Tampa! If you love filling your Sunday with football then head to Raymond James Stadium for the Buccaneers game versus the Browns at 1 p.m. There will be an early morning pre-game and tailgate in the parking lots of Raymond James, so if you want to get rowdy for the Bucs, that’s the place to be seen! Po Po Po Poker Face! Po Po Poker Face! If you’re planning on wearing your highest heels and your meat suit this Halloween then head to Silks Poker Room for their $50,000 Tournament! No matter what you’re dressing up as, Silk’s invites you to stay and play to win their $50,000 Halloween Tournament. This Friday the 13 Nights of Halloween begin on Franklin Street! Come to the Tampa Theatre Friday through Halloween to catch one of your favorite horror films, hear live storytelling or see the Rocky Horror Picture Show. Whatever kind of scare you want this October, go to Tampa Theatre to get it! All of your favorite Seminole Heights Bars are participating in Tampa’s newest and largest Halloween Bar Crawl. Gauvtober is an event where costumes are strongly encouraged and drink specials are plentiful! Join in on the costume fun and compete to win best male costume, best female costume or best couples costume during the contest at one of the coolest bars in Seminole Heights! This weekend Clearwater has four days of swinging jazz surrounded by warm breezes and salty air during the Clearwater Jazz Holiday! Some of the top performers are the jazzy-bluesy Gladys Knight, the Count Basie Orchestra, and Buddy Guy; plus popular singers and instrumentalists like Sheryl Crow and Bela Fleck. Dance the weekend away this weekend and celebrate Jazz Holiday in style! If you’re like me then this is the perfect Halloween event for you! No scare’s and no frights, just lights at this Halloween Light Show at the Sylvan Ramble Lights warehouse near the Westshore Mall. This interactive experience will be heavy on special effects, and has many interactive Halloween yards for you to visit. Without the jump scares and scary masks, this is an event for the whole family to enjoy! Bar Crawl Nation is back with their Halloween Bar Crawl 2018 in Soho! They’re visiting some of your favorite college bars like MacDinton’s, Yard of Ale, World of Beer and The Dubliner for some costume filled fun. This is their 4th year in Soho and it’s bound to be bigger than ever! Headbangers and local EDM lovers get excited! This weekend on Beer Can Island there is a mini festival just waiting for you to join in on the fun. With countless local EDM artists in attendance it’s a great place to find a new favorite artist. You’ll need a boat to get there unless you want to download the new ride sharing app for boats, Anchor Passenger, to call yourself a boat to the Island. If you enter the code “813area20” you will get $20 off your boat ride! Pork Rinds, Burnt Ends, Ribs, Pork Chops, Sausages, you name it the Pig Jig has it! With endless samplings of pork this is a festival that will leave you equally as happy as you are full. Come to the Curtis Hixon Waterfront Park to taste the savory meat that’s cooking low and slow all day long for Pig Jig 2018! Bring the whole family to Dunedin this Saturday for the Stone Crab Festival! If they enjoy seafood and shellfish then your family will be thrilled with all the options at this years festival. Celebrate the Stone Crab that they catch in the 727area and enjoy it alongside arts and craft merchants, local artisans, civic groups and musicians! For more information on ways to share, explore and discover Tampa this weekend head to 813area, your free guide to everything local in your favorite city!